Madrasah Hashimiah Tahfiz Al-Quran & Orphanage is a community school for Burmese Muslim & Rohingya refugee children. 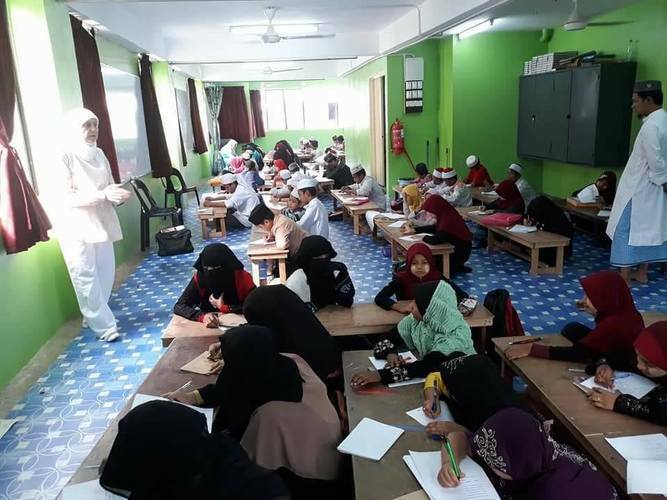 This school serve as a place for them to learn stories from the Quran, as well as Bahasa Malaysia, English, Bahasa Myanmar, Mathematics, Science, and IT Class. With the effort to help empower this School, Kindness Malaysia jump onboard and help to develop this School so that more students can have a better education in this School. Kindness Malaysia helps in promoting this School online and offline so that people are aware of the good effort this school has provided to the refugee’s community. Since the establishment of the school in 1994, although the number of students has kept growing until now, the lack of facilities in the school limits students’ learning curve and restricts their development. They deserve the best from their education. All the 240 students of the school are given the chance to learn IT in their syllabus, but lacking a proper computer has significantly hindered their learning. A lack of computers forces the students to learn IT lessons by theory alone without getting any practical experience. This crowdfunding project aims to equip the schools with 5 desktop computers in order to facilitate their IT lessons. These desktop can also be used by staff to help with the daily managerial and administrative work so that the school can be better managed and documented. By providing an additional 5 desktop computers to the schools, students will be empowered to enjoy better learning experience, and more practice can be done for their lessons . The students will be more excited to study not only IT but other subjects too as they see the applicability of what they have learnt. Having additional computers mean more students have access to an IT facility and are able to access internet for their school work, and for acquiring new generalized information. Five new computers will enable IT classes to become more comprehensive and practical. Hence, as a direct impact, 240 students will be able to improve in their studies. As for secondary impact, teachers and staffs can utilise the computers for their lesson planning and school related administration work. Being able to access to internet with better IT facilities will enable the teachers to conduct better lesson planning, and improved modification of preexisting lessons.